Imagine New Dimensions. Cuadros is the building block for your next great seating design. Whether you use pieces on their own or shape your lounge space in three dimensions, Cuadros will deliver an exciting visual punch. 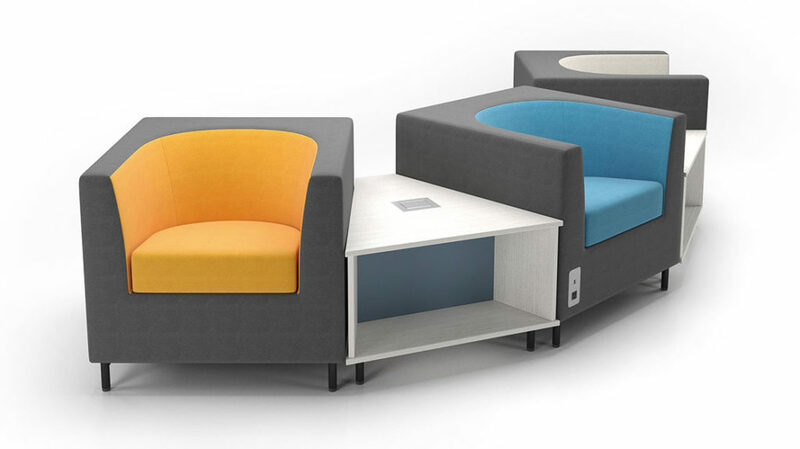 Highly Configurable – A variety of seating and table combinations offer endless layout possibilities. 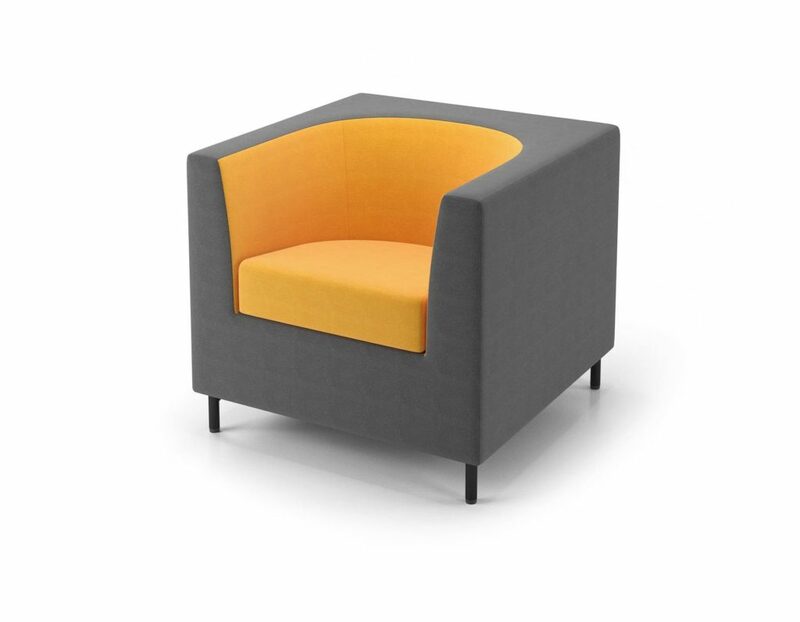 Lots of Shapes and Sizes – Geometric cube chairs are square for design and round for comfort, and ottomans are available in multiple shapes and sizes. 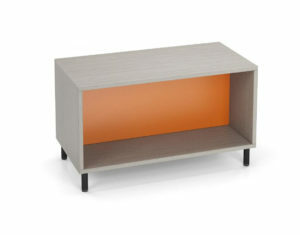 Creative Freedom – Tables come in both square and angled models to maximize your creative freedom. Leg Options – Choose from metal legs for permanent installations or casters for mobility. Bold Palette – Two-tone upholstery options and a plethora of table accent colours invite a bold palette. – Chairs and tables are available with integrated power USB access. Please talk to a Source team member for help choosing compatible products.